Updated on 2019 Calle Santiago Rusinol , Platja d ´Aro , Spain (Postal Code: 17250). Among all the activities offered by the center, if you're interested in swimming you might take pleasure in 25 meters x 12.5 meters, 6 lanes, 1.3 meters - 2 meters depth, 1.3 meters - 2 meters depth, Indoors. If you need to contact this Swimming Pool, email address and phone number are both number. Updated on 2019 Rovira i Virgili, 8-10 - Ap. Corr. 475 17300 , Blanes. Updated on 2019 Passeig Antoni Gaudí, 3 , Banyoles , Spain (Postal Code: 17820). Among all the activities supplied by the center, if you are keen on swimming you will enjoy 25 meters x 16 meters, 8 lanes, 2 meters depth, 2 meters depth, Indoors. If you have to contact this Pool, email address and phone number are both number. Updated on 2019 Carrer de l´Esport, 16 , Sant Ponç , Gerona (Girona) , Spain (Postal Code: 17007). This great and large sports center lets professional swimmers like you enjoy Olympic size x 21 meters, 8 lanes, 2.1 meters depth, 2.1 meters depth, Indoors. Additionally, within these facilities you can try 25 meters x 12 meters, 6 lanes, 1.9 meters depth, 1.9 meters depth, Indoors. 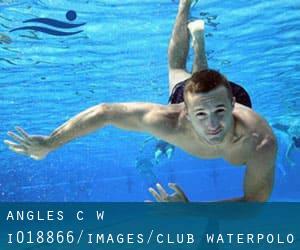 Unfortunately we do not have the email address of this Swimming Pool, but we can provide you with the phone number.